The Living Wage: What has already been achieved? 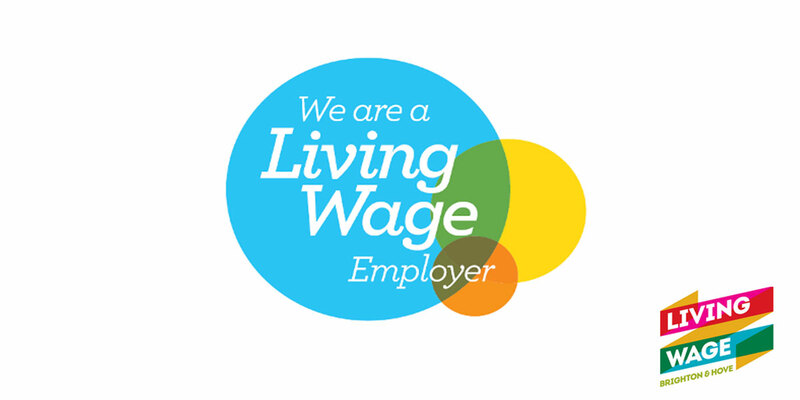 Last week was Living Wage Week and it’s encouraging to see a flurry of businesses committing to being living wage employers. In the run up to and throughout Living Wage Week, Brighton and Hove have signed up 34 new businesses committed to paying their staff the living wage. Although the living wage is voluntary in the UK; many organisations are eagerly signing up to the campaign and already reaping the benefits of being a living wage employer. There are plenty of reasons to celebrate what has already been achieved by the Living Wage in the UK – and plenty of reasons to be optimistic about what is to come. This is a great start – especially when you look at the year on year trends. This time last year a total 432 employers had signed up; and the year before; just 78 had signed up. The ball is now rolling and a number of FTSE100 companies are also committing to the Living Wage – including Aviva, Barclays and Legal and General. A living wage for those at the bottom of the pay scale increases the amount of disposable income they have available; whether this is spent on a meal out with the family, or being able to choose to shop at a local grocers rather than a commercial supermarket; there is significant evidence that the Living Wage can be used effectively as tool to drive the economy forward. Evidence from New Economics Foundation (nef) and others suggests that salary spent within the local economy gives a much greater return to the local economy through a ‘local multiplier’ effect. The living wage is already making a difference to communities as a whole, not just the individuals receiving the living wage. As more and more organisations sign up to being living wage employers, it will be interesting to see how local economies benefit, especially in a time when cuts to local services are regularly in the headlines. Research into London Living Wage from Queen Mary University of London, found that all the employers interviewed reported improvements in the stability, attitudes and characteristics of the workers doing their jobs. The Living Wage had not only helped employees to feel valued in the role; it had improved efficiency too. If the findings from this report can be generalised to all living wage employers, that means a lot of happier staff doing their jobs more effectively and that can’t be a bad thing for a recovering economy. There is a lot to be said for the effects of wellbeing in the workplace. One of the conclusions from the report by New Economics Foundation (nef) is that getting the right work-life balance is an effective way of avoiding stress at work. Living wage leads to more disposable income to be able to enjoy free time, and means people are less likely to have to work two or more jobs and less likely to be worrying about how they are going to make ends meet. Around 35,000 people are set to benefit from the rise in UK living wage. At a time when low pay is the fastest-growing reason people in the UK are living in poverty, the Living Wage is a lifeline for thousands and those committed to paying the living wage are paving the way to change for the rest. Another conclusion from the nef well-being in the workplace report is that having jobs that are fairly paid is important – no news there. However, well-being seems to increase with absolute levels of income. Once this increases beyond a certain point, the size of the related rise in well-being associated with increasing income becomes smaller. So – the greatest gains in terms of well-being tend to come from increasing wages of lowest-paid workers. Once again, a great achievement that Living Wage has already helped 35,000 people who will benefit most from an increase in salary. As we have seen, the number of companies signing up to the Living Wage is increasing each year. This would not be possible without the campaigning of Living Wage supporters. The Living Wage campaign has opened the doors for increased awareness, more public debate and an opportunity for the public to engage with an important issue; with the potential to improve the lives and well-being for millions in the UK. With social media playing a big role in our society, we are able to find a wealth of information at our fingertips and these campaigns are playing a starring role in bringing information to light and making these significant issues about wages and poverty in UK common knowledge. Take a look at Living Wage Foundation for inspiring stories and to see the full list of pioneering organisations that have already committed to paying a living wage. Also, watch this video to see how the living wage is already benefiting organisations and individuals in Brighton and Hove. Will your organisation be next?